Gold prices fell $17.75 an ounce yesterday, erasing the gains made in the previous session, as the dollar and stocks gained after U.S. President Donald Trump backtracked on his suggestion of an imminent missile attack on Syria, which could lead to wider conflict between Washington and Moscow. 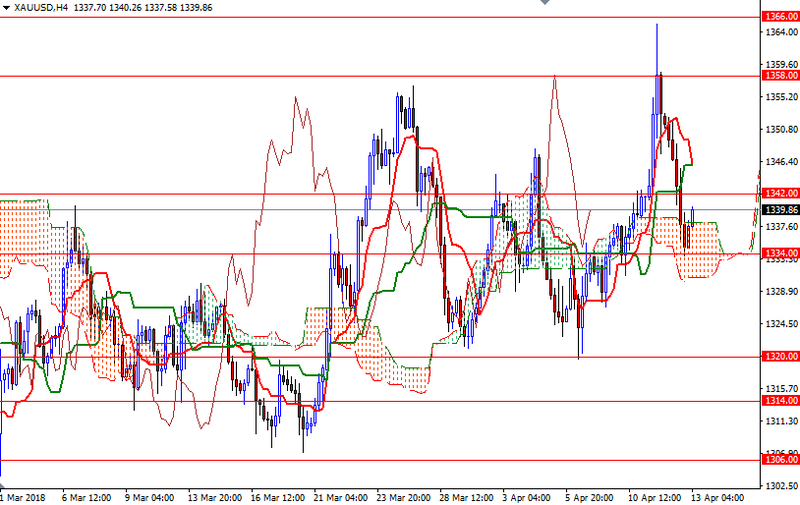 XAU/USD extended its losses and returned to the $1336-1334 area after the market dived below the key support in $1347-1345. U.S. economic data due for release Friday is light and includes the consumer confidence index. 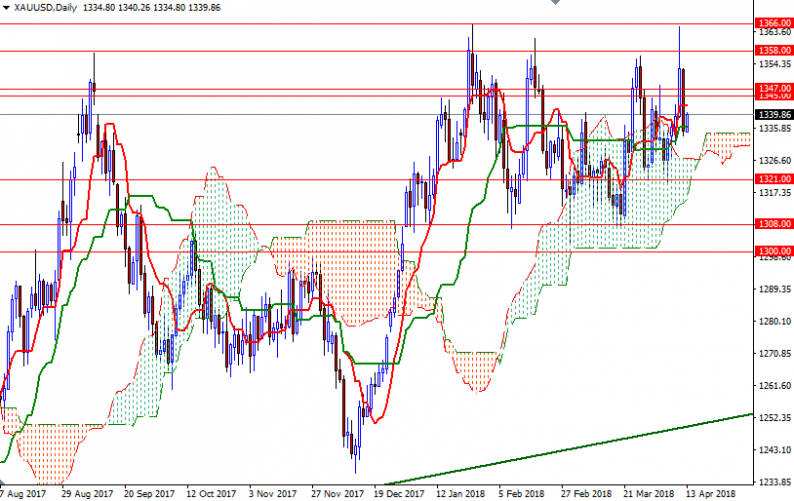 XAU/USD is being supported by the Ichimoku cloud on the H4 chart at the moment, but the bulls have to push prices above 1343/2, where the daily Tenkan-Sen (nine-period moving average, red line) resides, to regain strength and retest the 1347/5 zone. Breaching this barrier is essential for a bullish continuation towards 1359/8. Beyond there, the 1366 level stands out as a key technical resistance. However, if the bears increase pressure on the market and prices drop through the 4-hourly cloud, then it is likely that we will visit the support in 1327/6, the top of the daily cloud. The bears have to produce a daily close below 1326 in order to make an assault on 1321/0. A break down below 1320 opens up the risk of a fall to 1314.